We hope you’ve been enjoying your summer vacation! As you gear up for the 2011-2012 school year, don’t forget about NASA Explorer Schools’ wealth of classroom resources. Last year, NES teachers participated in more than 1,100 activities. Many teachers commented on how easy it was to integrate NES activities into their curriculum and how using them increased their students’ interest in STEM topics. And there’s much more to look forward to in the upcoming year! Throughout the school year, NES will add 20 new lessons to the existing teaching materials library, along with a number of associated professional development videos and webinars. NES will kick off the 2011-2012 NASA Now Season with its first event, Clouds and Earth’s Radiant Energy System. Chief Engineer Gary Fleming will explain how studying electromagnetic energy can help predict climate change. Information about this event will be posted on Aug. 17. Visit the Virtual Campus to find the complete set of NES classroom resources as you plan your 2011-2012 curriculum. Remember, the NES staff is available throughout the summer to answer any questions or provide additional support in integrating NES resources into your curriculum. Each summer, NASA Explorer Schools recognizes outstanding NES educators by providing an opportunity to attend an all-expense-paid, three- to five-day research experience. This summer, NES is hosting four research experiences. On July 11, selected educators begin a week-long NASA Coastal Ocean Research Opportunity. Teachers become familiar with the science and research techniques used by NASA to study the coastal oceans, ocean color and Earth’s biosphere from space. They conduct research aboard research vessels and learn to use some of the same techniques used by NASA scientists. The theme of the Solar System – Inside and Out summer experience is what is happening within our solar system and beyond. During this two-day professional development experience participants learn about our solar system, exoplanets, and the Hubble Space Telescope’s contributions to the study of these new worlds orbiting other stars. This workshop features science content presentations and hands- on activities that use real-world astronomical data and the Hubble Legacy Archive to bring the wonders of the universe to students. These activities can be implemented in the classroom to encourage students to generate relevant and meaningful research questions and search for new insights about the solar system. The “Solar System — Inside and Out” workshop will be held July 20-21, 2011, at the Space Telescope Science Institute, located on the Johns Hopkins University Homewood Campus in Baltimore, Md. July 20 marks the first day of a four-day Water Filtration Research experience supporting the NES Engineering Design Challenge of the same name. Participants learn how NASA recycles water on the International Space System and about hydroponics and plant growth, as well as how a national park studies water. A selected group of NES educators travel to the Goldstone Apple Valley Radio Telescope facility for a week-long research experience beginning on July 18. 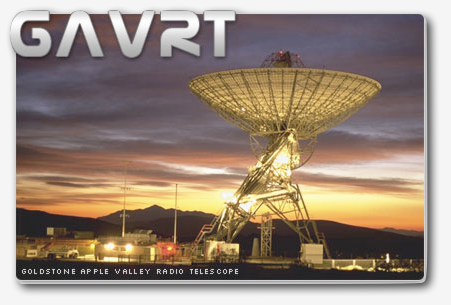 The GAVRT project uses a series of dedicated 34 meter (112 foot) radio telescopes at NASA’s Deep Space Network Goldstone Complex connected to classrooms via the Internet. Teachers acquire the curricular, operational and scientific knowledge to implement GAVRT within the classroom with cross-curricular lessons. Participants learn how to use the software. They are given access to the telescope for student use during the school year. The final NES summer research experience, Forces and Motion, begins on August 1 and targets teachers of middle school students. Selected educators perform their own research on the properties of objects in a microgravity environment and then go through a design process to create and build a research experiment. The experience then culminates with testing the experiment in a NASA drop tower. If you’d like to be eligible to participate in a NASA research experience next summer, become an NES participant by completing the registration form on the NES Virtual Campus. 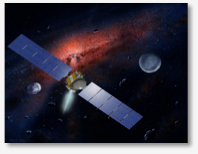 On July 15, NASA’s ion-propelled Dawn probe became the first spacecraft to enter orbit around a main-belt asteroid. Dawn will orbit Vesta for one Earth-year, studying the giant space rock at close range to help scientists understand the earliest chapter of our solar system’s history. Dawn will depart Vesta for its second destination, the dwarf planet Ceres, in July 2012. The spacecraft will be the first to orbit two bodies in our solar system. What is one of the marvels of all time and inspiration to students around the globe? What has created unforgettable memories for anyone who has seen it in person? It is the mighty space shuttle. It began as a dream but became the platform on which educators have inspired students around the world to learn about science, technology, engineering and mathematics. •	The first space shuttle flew in 1981. 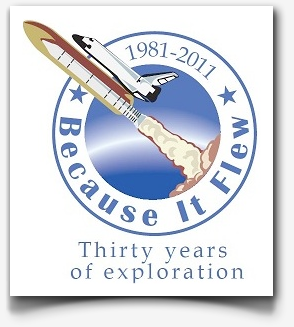 •	Including the STS-135 mission, the total number of space shuttle launches is 135. •	Five space shuttles have flown: Columbia, Discovery, Challenger, Endeavour and Atlantis. •	The space shuttle system is made up of the orbiter, two solid rocket boosters and the external tank. •	The orbiter travels in space at 17,500 miles per hour. 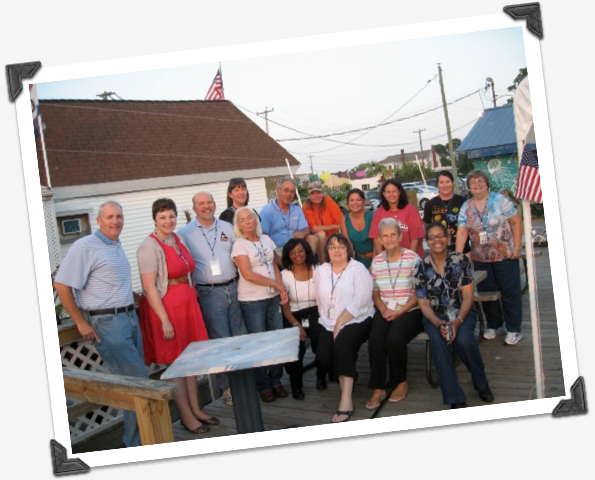 On June 20-24, 2011, 20 educators participated in the Wallops Rocket Academy for Teachers and Students, or WRATS, at NASA’s Wallops Flight Facility, located at Wallops Island, Virginia. 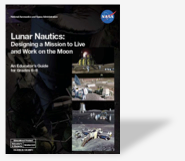 Of the 20 participants, 10 were NASA Explorer Schools educators who have been recognized for their best practices in using the Rockets Educator Guide content module on the NES Virtual Campus. The educators toured Wallops Flight Facility, built rockets, launched them and analyzed the launch data. They also interacted with university students attending the NASA hosted RockOn! University Rocket Science Workshop and got an inside look at the students’ experiments. The highlight of the week was the launch of the Terrier-Improved Orion Sounding Rocket on June 23. Michelle Harrison (shown in the picture to the right), NES participant from Holly Grove Christian School, commented on how the WRATS workshop gave her the confidence to use the Rockets Educator Guide content module in her classroom. To see more pictures from WRATS, check NES on facebook. To use the Rockets Educator Guide with your students this fall, sign-up to be a participant in the NASA Explorer Schools project. In just a couple of hours, I am delivering an address at the National Press Club to talk about NASA’s future, and before I do so, I wanted to share with you what I’m going to be discussing. You can also watch the speech at 1:00 p.m. EDT on NASA TV or the Web, or if you are at Headquarters, in the James Webb Auditorium. Next week, NASA will launch its final Space Shuttle mission, turning the page on a remarkable period in America’s history in space, while beginning the next chapter in our nation’s extraordinary story of exploration. From the early exploits of Daniel Boone, Lewis and Clark and Robert Peary to the breakthrough journeys of Alan Shepard and John Glenn, Americans have always been a curious people — bold enough to imagine new worlds, ingenious enough to chart a course to them and courageous enough to go for it. And the gifts of knowledge and innovation that we have brought back from the unknown have played their part in the building of our more perfect union. Some say that our final shuttle mission will mark the end of America’s 50 years of dominance in human spaceflight. As a former astronaut and the current NASA Administrator, I want to tell you that American leadership in space will continue for at least the next half-century because we have laid the foundation for success — and here at NASA failure is not an option. President Obama has given us a Mission with a capital “M” — to focus again on the big picture of exploration and the crucial research and development that will be required for us to move beyond low Earth orbit. He’s charged us with carrying out the inspiring missions that only NASA can do, which will take us farther than we’ve ever been — to orbit Mars and eventually land on it. He’s asked us to start planning a mission to an asteroid, and right now our Dawn spacecraft is approaching one of the biggest in the solar system, Vesta. What it finds out could help inform such a mission. The President is asking us to harness that American spirit of innovation, the drive to solve problems and create capabilities that is so embedded in our story and has led us to the Moon, to great observatories, and to humans living and working in space, possibly indefinitely. That American ingenuity is alive and well, and it will fire up our economy and help us create and win the future now. So when I hear people say — or listen to media reports — that the final shuttle flight marks the end of U.S. human spaceflight, I have to say . . . these folks must be living on another planet. We are not ending human spaceflight, we are recommitting ourselves to it and taking the necessary — and difficult — steps today to ensure America’s pre-eminence in human spaceflight for years to come. I spent 14 years at NASA before leaving and then returning to head the agency. Some of the people I respect most in the world are my fellow astronauts. Some of my best friends died flying on the shuttle. I’m not about to let human spaceflight go away on my watch. And I’m not going to let it flounder because we pursued a path that we couldn’t sustain. We have to get out of the business of owning and operating low Earth orbit transportation systems and hand that off to the private sector, with sufficient oversight to ensure the safety of our astronauts. American companies and their spacecraft should send our astronauts to the ISS, rather than continuing to outsource this work to foreign governments. That is what I am committed to and that is what we are going to do. Along with supporting the ISS and commercial crew transportation, NASA will pursue two critical building blocks for our deep space exploration future — a deep space crew vehicle and an evolvable heavy-lift rocket. As you know, we have made a decision to base the new multi-purpose crew vehicle, or MPCV — our deep space crew module — on the original work we’ve done on the Orion capsule. We’re nearing a decision on the heavy lift rocket, the Space Launch System, or SLS, and will announce that decision soon. Our destinations for humans beyond Earth remain ambitious. They include: the Moon, asteroids, and Mars. The debate is not if we will explore, but how we’ll do it. The International Space Station is the centerpiece of our human spaceflight for the coming decade. Every research investigation and all of the systems that keep the ISS operational help us figure out how to explore farther from our planet and improve life here. And we have a huge number of amazing science missions coming up. We’ll advance aeronautics research to create a safer, more environmentally friendly and efficient air travel network. NASA is moving forward and making change because the status quo is no longer acceptable. President Obama has outlined an urgent national need to out-innovate, out-educate, and out-build our competitors and create new capabilities that will take us farther into the solar system and help us learn even more about our place in it. NASA is ready for this grand challenge. As we go into this Independence Day holiday weekend, my thoughts are on what it means to be an American and this great responsibility we have to our country. For those of us in public service, it is a commitment to serve our country. Thank you for your work and your dedication; we would not have this amazing, American space program if it were not for people like you. Have a wonderful and safe holiday and may God bless America!